July 13, 2017 – Rolla, Missouri – Brewer Science is pleased to announce the addition of Dr. Srikanth (Sri) Kommu to its senior executive leadership team. As an Executive Director, Dr. Kommu will be responsible for running the semiconductor business. Dr. Kommu began his career as a research scientist and has most recently served as the Chief Technology Officer (CTO) and Senior Vice President (SVP) at MEMC/SunEdison Semiconductor. As CTO and SVP, Dr. Kommu strategically defined and flawlessly executed highly differentiating product, capability, and cost roadmaps. He has also been serving as an Advisory board member at Washington University since 2012, and worked at Intel and SUMCO earlier in his career. 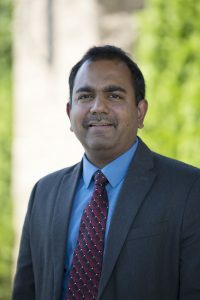 Dr. Kommu has completed his executive General Management Program from Harvard Business School, received his Doctorate and Masters degrees in Chemical Engineering from Washington University, and received his Bachelors degree in Chemical Engineering from the Indian Institute of Technology.